If you were to ask the typical HVAC technician to name the tool he could absolutely not live without. You’d hear a wide range of answers depending upon the particular end of the business they primarily work in. But the answers would undoubtedly contain such things as gauges, wrenches, screw drivers and ladders along with an assortment of various industry specific tools mentioned like multi meters, micron gauges and vacuum pumps. 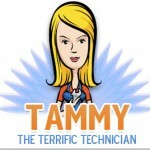 I’ve posed this question to my technicians over the years and to date have never, ever, not once had one say what I know to be the HVAC technicians most important tool – the service truck. 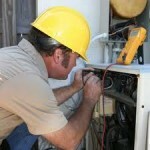 The HVAC service truck is the means by which technicians are able to perform their job. It is also the most expensive tool we have. Costs for a brand new three quarter to one ton service van can start at $28,000 and quickly exceed $40,000 when you add upfits like bin packages, service bodies, ladder racks and power lift gates. Our favorite upfit is the KUV (Knapeheide Utility Vehicle) from the Knapeheide manufacturing company based in Quincy Illinois. The Knapeheide KUV is the ultimate Air Conditioning service vehicle body. 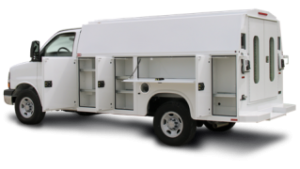 Generally mounted on a Chevrolet or Ford cutaway 1-ton van chassis they are constructed entirely of steel and feature 8- secure external storage compartments as well as internal storage space that includes two conduit chutes and a large cargo area for oversized items. Options are nearly limitless. One of the most popular is the remote key fob auto locking feature that locks all the toolboxes with the press of a button. According to Knapeheide the KUV will make your service technicians more efficient so they are able to run one to two additional calls per day. One of the great things about the KUV body is that it can be used on the single rear wheel cutaway van chassis. This makes it much easier to maneuver in residential neighborhoods as well as in the city compared to a standard dual rear wheeled box van. However the KUV is also available in dual rear wheel models for those requiring higher gross carrying capacities. This “TOOL” is a winner for all involved. It increases the likelihood that the technician will have the correct part or parts on his truck to complete the necessary repair on the first visit thus saving the customer both time, money ( due to increased technician efficiency and less time lost from work) and convenience. In addition to having a well-stocked / organized truck he will find himself less fatigued at the end of the day by not having to crawl around on his hands and knees in the back of a van or spending time behind the wheel, fighting traffic running to supply houses for parts he didn’t have room for. Or worse, parts he had but couldn’t find! It may even let him end his day a little earlier and allow him to spend more time with his own family. I’ve never met a tech who didn’t appreciate that. The KUV is the ultimate customer and technician retention tool. Having both satisfied customers and technicians is every company’s goal and also a great recipe for success. In today’s world everyone’s looking for a competitive edge and the companies that are using the KUV definitely have a big one. Photos courtesy of Knapeheide Mfg, Quincy IL. All air conditioning equipment manufacturers, Department of Energy, Energy Star, and local Utility companies recommend you maintain your equipment with a preseason tune-up and cleaning. Industry experts all agree that by keeping your system cleaned and tuned, it will run less, cool better, last longer, use less electricity and save you money. When you consider the high cost of replacing your system, it makes good sense to invest in extending the life of the one you all ready own. Dentists like to say, “Ignore your teeth and they’ll go away.” We also know regular oil changes in our cars add miles to engine life. Proper maintenance provides a return on investment. Proper maintenance is the key phrase. Some companies offer an “inspection” or a simple 30 minute quickie “clean & check”, looking and checking by a sales tech does not prolong the life of your equipment. However, cleaning, adjusting, tightening, sealing, lubricating and thorough attention by a professional service technician can. Anything less than a Precision Tune-Up and Professional Cleaning is a waste of your time and money. 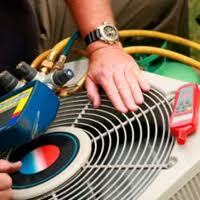 Below is a list of what should be done on an annual basis and included on any tune-up. If your service company is not doing the things on the list below you are not getting good bang for the buck and are possibly being taking advantage of. On units over three years old it should take 60 to 90 minutes per system. If the technician finishes faster something was skipped. See check list below. Indoor units located in the attic are a little harder and sometimes less assessable than those in closets, garages or basements. Humidifiers, Electronic Air Cleaners, and UV Lights should also be checked and serviced seasonally. Procedures for a Heat Pump in the cooling mode are the same as a regular air conditioner. What exactly is an air conditioning unit? Most all of us in modern society have experienced the benefits and comfort of conditioned air either at home, work, the mall or Movie Theater. Chances are you’ve been exposed to mechanical Air Conditioning of some sort. Do we ever stop to think about or appreciate the principles and physics behind this miraculous invention? The answer for most all of us is of course not. Like so many other niceties and conveniences that we all take for granted these days being comfortable is standard not optional. The American Society of Heating and Refrigeration Engineers (ASHRAE), defines Air Conditioning as: “The process of treating air so as to control simultaneously its temperature, humidity, cleanliness and distribution to meet the requirements of the conditioned space. That says it all. So whether we’re adding heat in the winter or removing heat in the summer we are air conditioning. So what exactly makes that air cold? To answer that you must first understand that cold is lack of heat. In other words cold air is the result of having the heat removed from it. Absolute zero is -460 degrees Fahrenheit, any temperature above that can be classified as having heat. For now, we won’t go into atoms, molecules and the laws of thermodynamics but to truly understand air conditioning you must go there. When a home or building is Air Conditioned or cooled the heat inside is merely transferred or removed to a more desirable location such as outside. Heat is merely transferred it cannot be destroyed. A more suitable name for an air conditioner may be heat mover or heat remover. Sounds strange but by design that’s what an air conditioner does. It moves heat from one place to another. Example: From inside your home, to the world outside. Another simple example would be your refrigerator. It does not destroy the heat to make the inside of the refrigerator cold. The heat is just removed from the refrigerated space and released outside or actually into your home. If you’ve ever felt the heat coming out from the back or bottom front of your fridge you’re feeling the heat being removed from inside the box. Isn’t that just great, now your air conditioner has more heat to remove? The process of cooling your home in the summer does not involve creating cold air but instead removing or moving the heat from inside your home and releasing it outside. The means by which this is accomplished involves transferring the heat with the use refrigerants such as R-22 commonly referred to as Freon or R-410A sometimes referred to as Puron. Actually it’s a little more complicated than that but we’ll happily be drilling down deeper into the physics and principles of Air Conditioning and Refrigeration in future articles. So stay tuned and stay cool! Whether you call them air conditioning filters or furnace filters depends if you live in a predominantly cooling or heating environment. Indoor air pollution is among the top five environmental health risks. Air filters have to strike a delicate balance between allowing air to flow freely through your furnace, evaporator coil and ductwork while at the same time stopping all the unwanted particles in the air from being collected on your cooling coil and recirculated throughout your home. The first is Particulate Matter which encompasses dust, smoke, pollen, animal dander, cigarette smoke, particles from combustion appliances, particles associated with tiny organisms such as dust mites, viruses, bacteria and mold. The second is Gaseous Pollutants. Generally coming from combustion processes. These include gas stoves, car exhaust, and tobacco smoke. They are also generated from building materials and furniture. Paints, glues, pesticides and cleaning supplies are also willing contributors to this category. Believe it or not your air filter actually becomes more efficient as it becomes loaded up with solid particulate matter. There is however a fine line between a filter operating at peak efficiency and one so stopped up it’s creating a pressure drop through the system, which is never a good thing. It’s important to note that the EPA does not certify or recommend any brand or type of air filter over another. Also note some filters sold in the market place are Energy Star qualified. 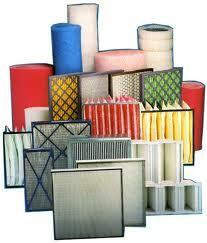 However EPA does not endorse any manufacturer claims of cleaner indoor air as a result of use of these filters. Minimum Efficiency Reporting Value or MERV for short is a measurement scale designed in 1987 by the American Society of Heating, Refrigeration and Air-Conditioning Engineers (ASHRAE ) to rate the effectiveness of filters. Ratings are from 1 to 20 with 1 being next to nothing and 20 a cleanroom type application. 1. Standard one inch fiberglass. Sometimes called a grocery store filters. They are better than nothing and that’s all that can be said. Change monthly. 3. High efficiency media air cleaner: Sold by manufacturers like Lennox and Trane as well as aftermarket HVAC suppliers such as Honeywell and Aprilaire. They are 4-7 inches thick, last six to twelve months and range in efficiency from MERV 8-16. Requires special filter cabinet due to size. 4. The latest and greatest filter systems are classified as Air Purification systems. Again two of the best are made by Lennox and Trane. The Pure Air by Lennox claims it can help control everything from microscopic dust mites and mold spores to infectious bacteria and viruses. They also claim to have the only IAQ system that safely removes and destroys odors and chemical vapors. It uses a patented photo catalytic technology to filter, purify and freshen the air. Service is done once a year with the purchase of an annual maintenance kit. I’ve performed the maintenance on several and it’s a breeze. Solar air conditioning has begun to emerge as an energy savings option for residential and commercial property owners alike. We’re going to give you some things to consider if you’re thinking of going solar. The basic premise of a solar air conditioner is obvious; you have solar panels or modules as some call them that are placed in a southerly exposure. (Either on your roof or in the yard.) The electricity generated by the sun can offset a percentage of the electricity used by the air conditioner while it’s operating. But an added bonus is the electricity produced by the sun when the A/C is not operating and assuming it is greater than the consumption of the entire house can actually put electricity back into the grid, in effect spinning your electric meter backwards and reducing your electric bill. There are companies that specialize in solar technology that can utilize your existing air conditioner, which obviously would only be prudent if it were a newer high efficiency model. There is also a major air conditioning manufacturer, Lennox Industries based in Dallas Texas who was the first to market a complete line of solar ac systems aptly titled SunSource. What’s the Return on Investment (ROI) for where you live? If any additional cost to add to your homeowners insurance. What happens if their mounted to roof and the roof needs to be replaced? Does the company that sold and installed the system service them? What is the life expectancy of the equipment? What is the cost for the ongoing subscription to online computer monitoring? Do the panels need to be cleaned, if so, how, with what, and how often? For sure there are other factors to consider but these were a few we asked ourselves when we considered installing one of these systems in our home. For us ultimately the ROI just wasn’t there. If you’re considering solar a good starting point are the free ROI calculators that many solar companies have on their web sites. They’ll show you approximately how long it will take you to break even on your investment. Ultimately only time will tell if solar and renewable energy products, servicers and manufacturers will stay the course and press forward with new clean energy products or abandon ship like so many have done in the past when the cost of cheap energy makes clean, green renewable energy unattractive to the masses. Who Invented Modern Air Conditioning? 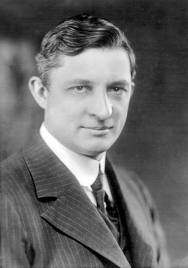 Willis H. Carrier is the true American success story and symbolizes everything that is great about this country. Good old American ingenuity at its best! He was the only child born to Duane William Carrier (1836-1908) and Elizabeth R. Haviland (1845-1888). 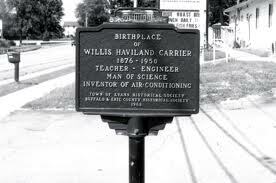 Willis Haviland Carrier was named after his mother’s uncle-in-law Willis Hoag Haviland, with whom she lived after the death of her father in 1868. The family lived on a farm near the snowy eastern shore of Lake Erie in Angola, NY. A friend recalled Willis in high school working on geometry problems outside, during a snow storm, oblivious to the weather conditions around him. He was said to be obsessed with the idea of becoming an engineer. So it is no surprise he won an academic scholarship to Cornell University in Ithaca, NY. Though his tuition was paid for by the state, he had to work to earn his room and board with a series of odd jobs. He stoked furnaces, mowed lawns and during his senior year, formed a co-op student laundry. 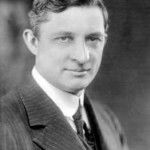 Willis Haviland Carrier graduated in 1901 with a Masters Degree in Mechanical Engineering. At times you may see him referred to as Dr. Carrier; he was awarded an honorary doctor of letters from Alfred (NY) University in 1942 for his many achievements and contributions to science and industry. In June of 1901 Carrier landed a job at the Buffalo Forge Company in their new experimental department manufacturing heaters, exhaust systems, and blowers used to dry lumber and coffee as a Design Engineer. His pay was $10.00 per week. Through Carrier’s research and development he came up with a formula to accurately calculate heating equipment requirements, size and corresponding tables. This saved his company countless man hours and over $40,000 on one job alone in lost productivity fixing systems designed flaws. Only 25 years old and barely a year out of college, Willis Carrier was made head of the company’s department of Experimental Engineering. It was then he was as assigned the challenge to find an answer to a humidity problem at Sackett-Wilhelms Lithographing & Publishing Company of Brooklyn, NY. Moisture levels inside the printing plant were causing the paper to expand and contract resulting in production problems. Using National Weather Tables Carrier was able to determine appropriate humidly and temperature levels. He then began to design a system to achieve these criteria. The result of his working to adjust the humidity control, air flow, temperature levels, proper sizing and capacity of the system he designed for this printer is considered by authorities to be the first scientific “modern” air conditioning system. And only a year out of college! After several more years of refinement and testing, on January 2, 1906 Carrier was granted a patent of his invention, which he named “Apparatus for Treating Air”. The very first sale of the new invention was made to the La Cross National Bank in 1906. Carrier claims he developed the idea for mass distribution of his invention while standing on a railroad platform in Pittsburgh, PA contemplating the effects of temperature on that city’s smog. Buffalo Forge formed a new subsidiary, calling it Carrier Air Conditioning Company, in honor of the famed engineer. By 1914 Carrier had designed and installed air conditioning systems in factories, breweries, bakeries, processing plants, and department stores. But World War I brought difficult times for Buffalo Forge and they shut down the speculative division of air conditioning. After 12 years of employment Willis Carrier left Buffalo Forge. 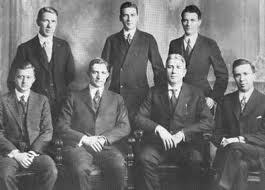 Carrier along with six of his engineer friends pooled together $32,600 and formed Carrier Engineering Corporation in New York on June 26, 1915. Some early customers were The White House, U.S. House and Senate, and Madison Square Garden just to name a few. They also installed systems in submarines, buses, and air planes. In the 1920’s as his systems became more refined and the industry improved, residential systems were developed. In 1937 Carrier moved the company to Syracuse, NY. It became the area’s largest employer. He also started Toyo Carrier of Japan in 1930, which is still the largest producer of air conditioning in the world. The Great Depression and stock market crash of 1929 and early 1930s’ caused financial hardship. Carrier merged with Brunswick-Kroeshell Company and York Heating & Ventilation Corporation to form Carrier Corporation, with Willis Carrier as Chairman of the Board. 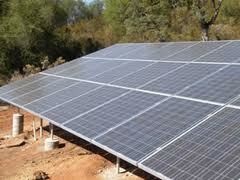 Today Carrier Corporation is a subsidiary of United Technologies Corporation (NYSE: UTX). In 2010 Carrier Corporation had sales of $12.5 billion and employs around 43,000 people worldwide. Dr. Carrier was married three times. He met and married his first wife Claire Seymour while still attending Cornell University. She died in 1912. He then married Jennie Martin. Carrier adopted her two children, neither survived to adulthood. He fathered no children of his own. Jennie died in 1939. His third wife was Elizabeth Marsh Wise died in 1964. All are buried at Forest Lawn Cemetery on lot 76 in Section 15 in Buffalo, NY. Carrier was a Presbyterian, a Republican and enjoyed playing golf. Willis Haviland Carrier died on October 9, 1950 shortly before his 74th birthday. Of all the modern conveniences that we take for granted air conditioning has made one of the largest impacts on our society. It enabled the southern regions and climates to prosper and grow. Productivity of workers in factories to increase, solve production humidity problems not mention quality of life improvement. It has made our homes so much more comfortable. Thank you Willis H. Carrier! “I fish only for edible fish, and hunt only edible game even in the laboratory.” – Willis Carrier on being practical. It is a commonly held misconception that the Better Business Bureau is a government agency, not true. The BBB is a non-profit, charity organization set up as a 501(c)(3). They are independent private franchises who report their income, board of directors and program activities to the IRS on form 990. Meaning no income tax is paid. All monies they collect are donations. Each local franchise pays dues/fees and agrees to the bylaws of The Council of Better Business Bureau (CBBB). Any complaints against a local BBB chapter may be directed to CBBB as well as the Attorney General of your state. Local BBB’s are not members of their own organizations. You may not file a complaint against them with them. The CBBB is supported by very large national corporate donations. How Do Companies Become Accredited Members? The BBB markets to local companies in a variety of ways. Through direct mail, telephone solicitation, door to door sales calls, business expos, you name it. They aggressively seek new membership. Once a company agrees to join, they pay dues, and fill out an information sheet, which the BBB claims to verify. They are then an accredited member. This allows the joining member to use the BBB logo in advertising and be listed on the BBB’s web site, along with some other benefits. A new secret formula algorithm grading system was put in place to rate companies, both members and non-member companies. The rating system uses the old elementary school A+ through F we all remember so well. The CBBB rating guidelines state the number of valid complaints and company’s response is the major factor in ratings or grades given. However, keep in mind every franchise is privately owned and judges each business according to their understanding or lack of; that industry, experience, expertise, legal knowledge, time spent, proper research, willingness to investigate or possible personal or professional relationships. A good or bad rating can have substantial impact on a business in a competitive industry. Recently there have been several complaints from companies that due to the economy they dropped their BBB membership. With that dropped membership, came an immediate downgrade in their rating/grade with the BBB. When they complained to the BBB they were told the only way to get their rating back up was to rejoin. This practice is under investigation by the Attorney General’s Office in several states. In addition several private lawsuits have been filed. The premise for the BBB is good. Hopefully with the media spotlight on the over aggressive, sometimes heavy handed local BBB franchise operators that gave the honest and fair minded franchises owners a bad name, things will begin to improve. Until some of these law suits have time to work their way through the system and these rogue operators are forced to pay large sums of money for their slanderous actions, greed will rule the day. The BBB claims to want to protect you from the unscrupulous, scams, schemes, cheats, rip-off-artists, liars, lazy contractors and bad companies. But what I really want to know is, who is going to protect us from the BBB? Is a wolf in sheep’s clothing not the most dangerous predator of all? BBB logo courtesy of Google Images. 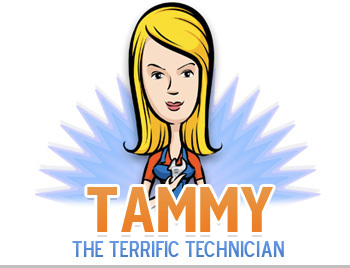 Tammy what is SEER? In plain English please. S.E.E.R. – Stands for Seasonal Energy Efficiency Ratio. Manufactures are required by law to evaluate and rate their air conditioning equipment according to its energy efficiency. They then must submit it to (AHRI) Air Conditioning Heating, and Refrigeration Institute who uses an independent third party laboratory to certify the manufacturer’s claims of efficiency are accurate. The higher the rating or SEER number the less electricity the unit uses. Or the higher the SEER rating the more energy efficient the unit is. The minimum the federal government (talking central air conditioning not portable units), allows manufactures to make in 2011 is a 13 SEER units. 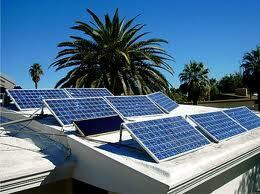 Ratings on air conditioning units non-geothermal or without solar panels can reach up to 21 SEER. The higher the SEER rating, the more expensive the unit. You are paying for the technology, research and development. You invest more up front by installing a high SEER air conditioning system, but will have a return with lower electric bills if you plan to stay in the home. Even people with rental property sometimes feel it reduces tenant turn over by helping to keep electric cost down. Some realtors use newer high SEER equipment as a property selling feature. You might have wondered if a manufacturer has ever made a claim of efficiency and had it disproved by AHRI. Yes, that has happened. I don’t think it was a matter of dishonesty. But more a matter of a certain condenser being matched with a particular size or type of evaporator coil under worst case scenario they could not attain best case results. Sometimes a higher SEER rating can be attained in a 2 ton unit than a 5 ton (same model), due to larger refrigerant lines, motors and other heavier duty parts that are necessary. However, this testing and rating is done with a matched system using both a new indoor and new outdoor unit. If you are not replacing your evaporator coil at the same time or mismatching your system with a new outdoor unit to an existing indoor unit; all bets are off. 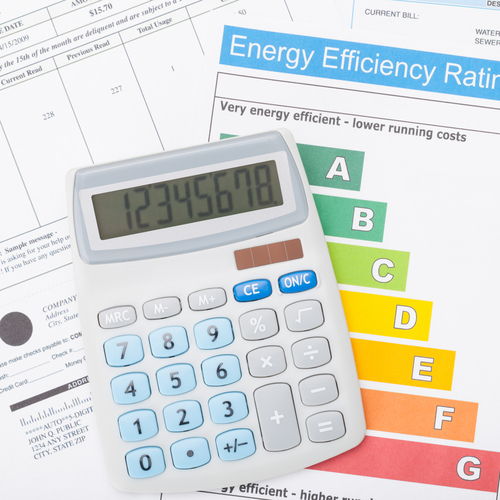 Who knows what efficiency rating you are getting. Units/systems do begin to become less efficient as they age due to wear, cleanliness and rust. So don’t think you can have an eight year old indoor evaporator coil, go buy a new 16 SEER outdoor condenser and get 16 SEER savings on your utility bills. Not going to happen. Will it be better than your old one? Yes. Your old unit was probably rated a 10 SEER when installed eight years ago. 10. What color of paint was on your bathroom walls? 9. Who usually cleans your carpet? 8. Is that your kid’s bike I just backed over? 7. You got any tools I can borrow?. 5. I’ve never seen one of these before, how old did you say this thing was? They haven’t made parts for this thing in ten years. 4. Was that hole in your ceiling always there? 3. Were those your cats running down the street? 2. Where do you keep the fire extinguisher? 1. What time do you folks go to bed? I recently attended a Home and Garden Show in my area. “Energy Efficiency” seemed to be a theme embraced at almost every booth. These are some common sense tips I picked up that I think are worth passing on to you. Set your thermostat to 78 degrees in summer and 68 in winter. At least set the temperatures as high or as low as you can live with comfortably. Every house is different and personal comfort levels are not the same. Put on a sweater or use a warm throw. However, don’t be miserable it is not worth it. Even better, install a programmable thermostat. 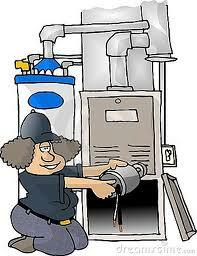 Air conditioning and heating systems will work best when clean. Have a professional tune-up performed on your air conditioner each spring and heating system in the fall for maximum efficiency. Vents for your HVAC system should remain open for better circulation. Also make sure they are not blocked by furniture. Check your air conditioning duct work for leaks seal properly with tape and mastic. Every month change, wash or check your air filter. A clean air filter will make your HVAC last longer, not have to work as hard due to restricted air flow and be healthier for you. Only wash clothes with cold water. An average family with an electric water heater can save up to $1800 per year by washing in cold water. Clothes that are really dirty and in my opinion sheets should be washed in warm water. Try to only wash full loads when you can. Clean the lint trap after every load. No heat mode on your dishwasher is the most energy efficient. Some dishwashers call it air dry or have a light wash option, use when appropriate; check your manual. Again, try to only run full loads. Lowering the temperature on your water heater a just few degrees can save you more than you might think. If your water heater is in an unconditioned space such as attic, basement or garage buy an approved water heater blanket wrap at a hardware store. Easiest step you can take to cut up to 20% on your energy bill is to replace all the light bulbs in your home with “CFL” Compact Florescent Lights. They have gotten better than when they first came out. They are now offered in a variety of brightness from soft yellow glow to bright daylight. They cost more up front but last longer and save on electric usage. Leave a room turn it off! Have a family meeting share electric bills and talk about turning off TVs, radios, games, toys, and lights when you leave a room. Try to explain the money you save will go toward something fun for the family, vacation, new bikes or games. Make it educational and rewarding not just a gripe session. Look at both last years and this year’s bills along with temperature differences. 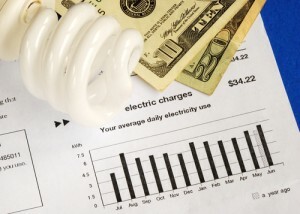 Energy efficient appliances don’t cost they pay. If your appliances including your heating and air conditioning system are over ten years old a new appliance or HVAC system may pay for itself in utility savings. 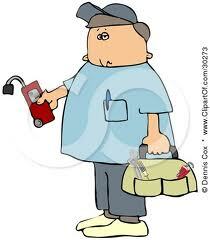 Calk around your door, windows, utility lines, water lines or any other openings that run into your home. Seal your air conditioning systems boots and collars. Three well placed deciduous (leaf-losing) trees on the west, south and east side of your home will provide shade in the summer and will help to lower air conditioning costs. Refrigerators need to have the coils cleaned regularly. Make sure it is not too close to the wall, air needs to circulate around the coil and cool it. Be sure the door seal is good and tight. 35 to 38 degrees is a good temperature for refrigerator any colder is not helpful. Keep your freezer around 5 to 10 degrees for the same reason. Insulating your attic can reduce your air conditioning and heating load up to 30 percent. The minimum recommendation for insulation amount in most attics is R-30, or about 9 to 14 inches, depending on the type of insulation you use. The more the better, can’t have too much. Explore all your options, foam, blown, radiant barrier all are good just depends on what your budget will allow. Ceiling fans can help to keep rooms cool and air circulating. Turn them off when you are not in the room. Try to unplug phone chargers, coffee pots, DVD players and anything else you can think of that may have a clock or be using phantom electricity. That includes anything with a remote control. You might try to hook these items up to a power strip when they are not in use you can turn power strip switch to off. Your computer should have an Energy- Saver setting function on the Control Panel make sure it is set to go into “sleep mode” after 20 minutes. 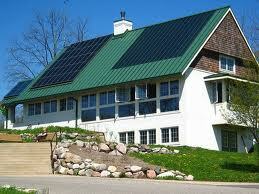 Now is a good time to consider installing solar screens on your windows. This is a low cost alternative to installing new windows. Only use the electric oven when you have to. Use a toaster oven, microwave, or outdoor grill whenever possible. Weather-strip windows and doors. The less air leakage in and out the better. Go on line to your local utility company’s web site to see if they have any special programs, rebates or giveaways. In some state you can pick your provider and they compete for rates. In others, utilities are giving away CFL bulbs for free. Some will even come to your home and do an energy audit. Many states are offering rebates to upgrade your heating and air conditioning equipment. Benjamin Franklin was a very wise man. But honestly I don’t know how his wife put up with him.